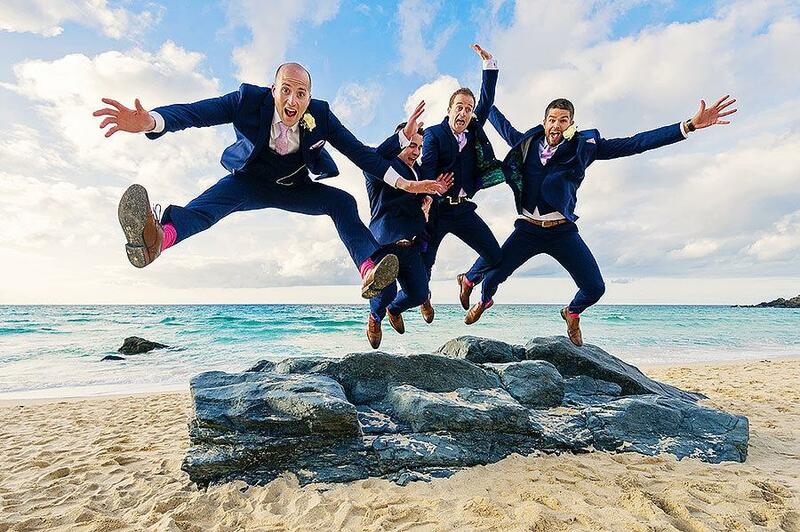 Photo details: This is the groom and his groomsmen jumping for joy on Porthmeor Beach in St Ives, Cornwall. Great Easter weekend wedding. About the photographer: Devon based documentary wedding photographer whose been capturing wedding memories for 12 years and loves every minute of it. Cover weddings throughout the South West, UK and destinations weddings too.